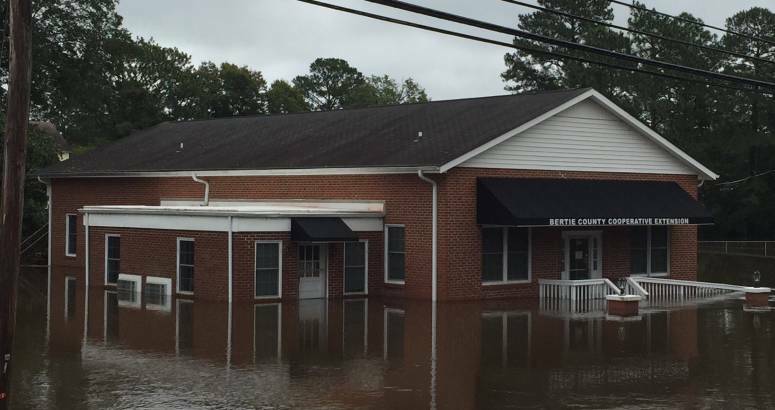 Rocky Mount, NC – The Golden LEAF Foundation was recently appropriated $10 million to distribute a third round of disaster recovery funding to areas recovering from 2016 natural disasters, including Hurricane Matthew, the western wildfires, Tropical Storm Julia or Tropical Storm Hermine. Eligible projects include: repair, replacement, or demolition of existing infrastructure; infrastructure to support new housing development; repair or replacement of equipment; and construction, replacement, or improvement of public infrastructure to support hazard mitigation. For the purposes of this program, infrastructure includes nonresidential buildings that serve the public, water, sewer, sidewalks, storm drainage, and other, similar projects. See Section 5.6 of Senate Bill 99 for details. With the past two rounds of Disaster Recovery funding, Golden LEAF has allocated funding for 74 projects totaling nearly $55 million for community needs including the repair or replacement of public buildings, equipment, and infrastructure; new infrastructure to serve new housing developments; and loan capital to support small business recovery. Click here to learn more about the Disaster Recovery Funding and how to apply for a grant.